• A minimum of two months notice is required. • Performance dates must fall between mid-October and mid-June. Occasionally, and only with a lot of advance notice, can requests be accommodated that fall outside these dates. 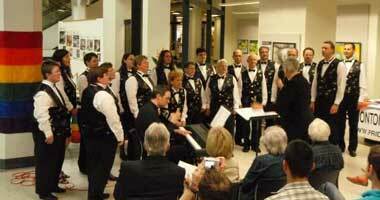 • Musical selections are chosen by the Artistic Director from the current repertoire of the choir. Music chosen will be appropriate and suitable to the type of event. Requests for specific pieces cannot usually be accommodated. • EVM does not charge for performances at events that are open to the public, however, a donation of $150 to cover some of its expenses would be appreciated. • Invitations for performances at private events should be discussed with the choir's General Manager. 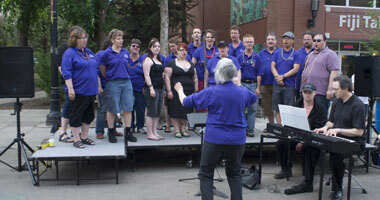 You can contact EVM's General Manager at sing@evmchoir.com or by calling 780.488.1498.